One of my main complaints about Agents of S.H.I.E.L.D. has been that the show often feels like it's trying to do too much at once –– focusing on too many characters, laying groundwork for too many other movies/spinoffs, telling too many stories. The vast improvements that came after the great HYRDA takeover of season one also brought an influx of new characters, which benefited the show but pulled the focus off of the core six and on to a much bigger universe. You will find none of those complaints in this review. In fact, you will find no complaints at all, since "4,722 Hours" was one of the best S.H.I.E.L.D. episodes of all time (it wasn't quite enough to upset "Turn, Turn, Turn" for the number one spot, but it was close). Director Jesse Bochco did an outstanding job taking us back in time, immersing us in this new alien world and the dangers that come with it. We pick up six months ago, right as Simmons has been sucked into the monolith, and we watch as she slowly comes to terms with what really happened to her. 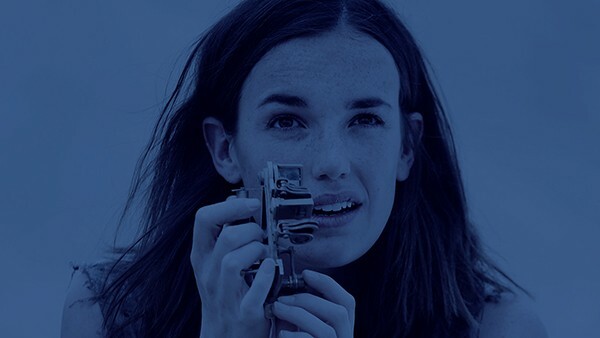 Her actions felt natural, perfectly in step with the Dr. Jemma Simmons we've spent the last three years getting to know. Of course she would follow S.H.I.E.L.D. protocol when she's not even in the same solar system as her team, waiting expectantly for Fitz. Of course she would begin to track her findings with a scientific interest, killing time until she can pop back home. What else would Simmons possibly do? For the first time ever, Elizabeth Henstridge was in every scene of the episode, and she has never been better as she flawlessly navigates through the stages of grief and takes the audience with her on her harrowing emotional odyssey. Her denial of the gravity of her situation and planning for her date with Fitz made her previous restaurant breakdown retroactively more heartbreaking. But her situation isn’t totally bleak –– after going through her own Cast Away survival journey, she eventually finds the one other person on this planet, hunky astronaut Will (Dillon Casey). Henstridge is outstanding, giving an emotional depth to Simmons that we’ve only been able to glimpse before, and she has a worthy scene partner in Casey. We have less than one full episode to become emotionally invested in Will and he delivers –– rocketing from possibly enemy, reluctant ally, and finally, to love interest and partner. Will is largely resigned to his life on the alien planet, having been abandoned there by NASA in 2001, and on the run from some sort of evil alien that led three of his teammates to their own deaths. In a classic rom-com meet cute, Simmons plunges through his booby trap and he keeps her locked in a cage, afraid that she is the alien manifested in some new way. We're on a time crunch here, so we only see flashes of their relationship as it develops but it's enough to convey intimacy, compassion, and affection. They work well together as astronaut and scientist, balancing each other with optimism and realism. Once the depression of a failed attempt at getting a message in a bottle through to Fitz, possibly due to the alien planet's manipulation, passes, they transition into acceptance of their situation, and create a new life together that actually doesn't seem so bad. After sharing a tender moment watching the rare sunrise, Simmons sees Fitz's flare and they run for it, only to be stopped by the alien force that really doesn't want them to go. When it takes the form of a creepy astronaut, Simmons thinks for a moment that they are saved; but Will isn't fooled: the alien has him, and doesn't want him to go. He pushes Simmons to safety where she finds Fitz and just like that, we're back to the present, with Simmons finally telling Fitz the whole story. True to form, Fitz doesn't say a word at first, just sets to work restoring the portal to rescue Will who –– wouldn't you know it –– is visible for a brief moment. But his gun has no more bullets, and he is alone. This episode is the closest S.H.I.E.L.D. has ever come to a bottle episode and it is a risk that paid off with dividends. The emotional stakes have never felt higher for the two scientists who were once known for being merely "adorkable." My only hope is that they don't let up on the emotional throttle as they mount another improbable rescue. I sighed with relief when Simmons addressed the everlasting-battery elephant in the room. When will that tech be on the market? The phone as an emotional touchstone to Fitz felt right, and the beat she took when she decided to sacrifice it felt earned. Losing the phone meant saying goodbye to Fitz and opening up to Will, and neither were taken lightly. What world is that really? Looking forward to exploring the planet of mood swings. Swoon-worthy chemistry between Henstridge and Casey. That was a really great casting job there. I literally cheered when they flashed to Will alive. I doubt we will get a clean rescue (that alien seems intent on keeping his toy) but my God, am I rooting for him. Iain De Caestecker was hardly in this episode, but Fitz loomed large and De Caestecker did so much with his one brief scene. I have never felt closer to FitzSimmons, and I've never wanted to know what comes next more. Agreed. They'll get him back - but there is just no way it's clean. I'm guessing the evil alien will possess him. They'll be able to get him back but he'll need to leave Simmons to go do some major therapy. Which is too bad because Will is great and I would love it if he stuck around the base.